Henry Curtis Jackson, Jr., was executed by that state of Mississippi. Henry was pronounced dead at 6:13 pm CDT, inside the execution chamber at the Mississippi State Penitentiary in Parchman, Mississippi. Henry was 47 years of age. 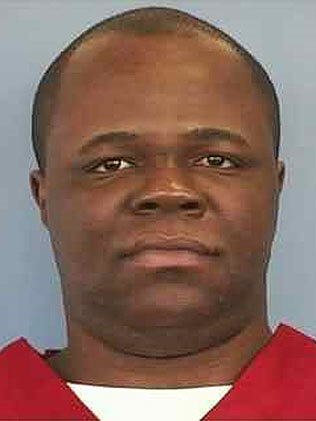 He was executed for the murder of his two nieces, 2-year-old Shunterica Lonnett Jackson and 5-year-old Dominique Devro, and his two nephews, 3-year-old Antonio Terrell Jackson and 2-year-old Andrew Odutola Kuyoro, Jr. The four children were murder in Greenwood, Mississippi at the home of Henry’s sister. Henry’s sister Regina, and his 11-year-old niece Sarah were stabbed but survived their injuries. As a child, Henry received numerous head injuries from sports and work. As an adult, Henry often helped his mother financially prior to his arrest. Please pray for peace and healing for the entire family.